What a beautiful community and caring staff!! The best way to get to know a community is by scheduling a tour. See the facilities, meet the staff and residents, and get a feel first hand what it's like to live at Traditions at Brookside Assisted Living. Opening on January 2017 Traditions of Brookside is a premiere senior living community that aims to provide superior yet reasonably priced accommodations and services. Our community has a peaceful, quiet and country atmosphere. We provide six levels of care and allows residents to live on their own terms while they make the most of their retirement. Traditions at Brookside creates a warm, safe, secure, and friendly environment, promoting independence and self-esteem for all residents. 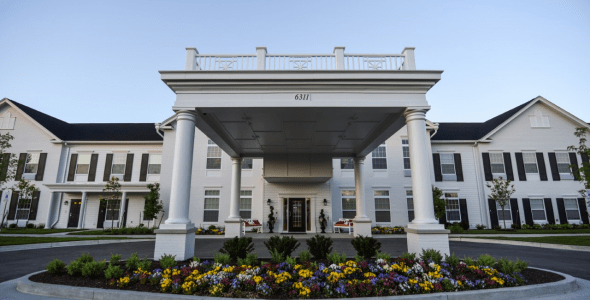 Living options include licensed assisted living, assisted living memory care, and independent living garden homes. We provide a home-like setting for those who need assistance with personal care and daily living activities. Our community provides rich amenities that promotes health and wellness. Residents can rejuvenate and pamper themselves on our full service beauty salon, fitness center with state of the art equipment, and a theater where resident gather to watch movie classics. We have Traditions Café a casual dining restaurant where residents can eat together with their friends and families. Traditions of Brookside is conveniently near hospitals, restaurants, doctor’s office and endless recreational choices. Our community offers studio, one bedroom and two bedroom apartments that has its own in suite bathroom, kitchen, spacious closets and individually controlled air condition. Residents live a healthy, care free and do the things they love as we take care of the housekeeping, maintenance and laundry services. We provide transportation services for outing, trip to restaurants, doctor’s appointment and shopping. We have created a lot of activities and life share programs to promote socialization. Our community provides personalize care services to each residents to ensure they get the right level of care they need. Our staff are available 24 hours a day for optimum care. We encourage our residents to be independent but if they should need assistance in medication management, personal care and daily activities we are always ready to provide a helping hand.